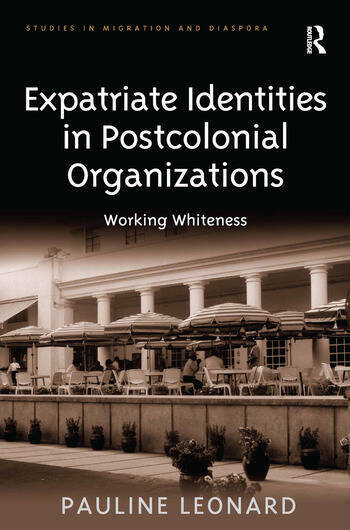 Expatriate Identities in Postcolonial Organizations offers a timely and contemporary discussion of the role of organizations in maintaining or challenging structures and cultures based on racism and discrimination. It offers a key exploration of the relations between whiteness, identity and organization in migratory contexts. It delves into the experiences of expatriates in Hong Kong and the ways in which new identities are constructed in the destinations of migration by exploring the renegotiation of white identities and racialized relationships, and the extent to which colonial imaginations still inform contemporary organizations. By drawing on existing theoretical and empirical material on post-colonialism, identity-making, privileged migration, relocation, transnational work and organizations, this volume brings disparate discussions together in a new and accessible way. It will appeal to a range of sociology scholars as well as to those working in the fields of migration, gender studies, and cultural geography.